Today begins a major two-day meeting at the U.N. regarding, specifically, "Peace and Security". You can watch live leader-after-leader stand up and address the world calling for what the enemies of God call for in 1 Thessalonians 5:3 right before "sudden destruction" overtakes them. All the while, a huge hurricane whose name literally means "lifted by Yahweh" comes barreling towards the U.S. while Russia, China, and Iran have all entered Syria (perhaps the beginning of Ezekiel 38). Additionally, it is being reported that Putin has just signed a major order, requiring the conscription of 150,000 Russians for military service and one of his chief allies is calling for the Russian army to lead Muslim soldiers into Syria. Are we on the precipice? 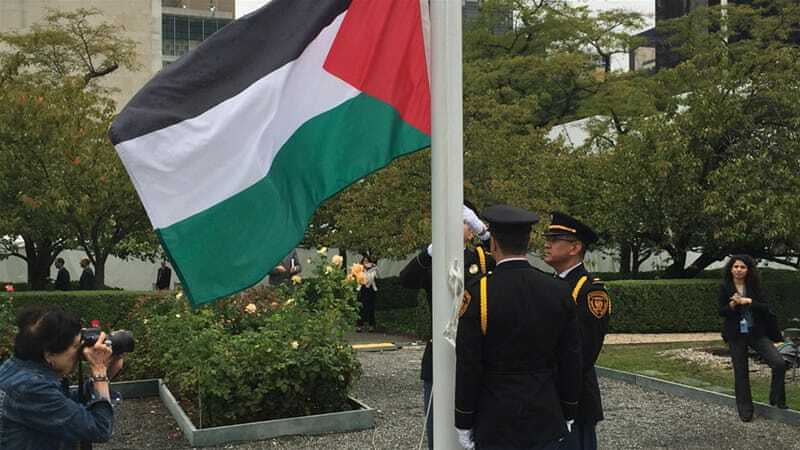 Yesterday world leaders gathered to honor Palestine (and in effect honored the division of God's land and the exaltation of God's enemies) by raising its flag at the United Nations. What do you notice about this flag? The Palestinian flag is simply four colors: white, red, black, and green. The colors of the Four Horsemen of the Apocalypse (see Revelation 6:2, Revelation 6:4, Revelation 6:5, Revelation 6:8). The tribulation begins first with the opening of the first four seals, each of which is one of these horsemen.